How to Train for a Duathlon. 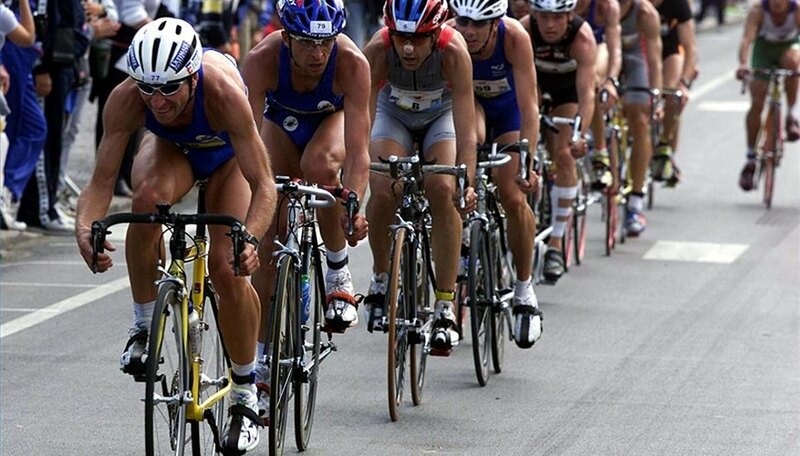 A duathlon is an athletic event that consists of two different activities, running and biking. In a duathlon, the athlete begins with running, then bikes, and finishes with another run. The distances vary greatly, so there are duathlons that are good for most athletes. Buy the necessary equipment. Running shoes that properly fit are a necessity. Go to a running store to get a proper fit. Also, a bike that is sized correctly is needed. Bike shops provide fittings for a relatively low cost, and even offer it for free if the bike is purchased there. Work out a training schedule. Spread the workouts out fairly evenly. Mix them up so as not to become bored. Take advantage of the best part of multisport training, the ability to practice different sports. Practice the transitions. There are two transitions in a duathlon, run to bike, and then bike to run. Practice both, as they both present different obstacles. Remember that the helmet must be on and fastened from the time the bike is moved off the rack until it is back on it securely. Sign up for a race. Locate a race that is the right distance for your training abilities. Show up early on race day. This helps especially if rack numbers are not assigned for bikes, since any open spot can be used. The earliest participants get the best rack spots in this situation. Get a feel for the course. Warm up on the course to get familiar with it.